This IP surveillance system kit comes with an 16 channel NVR with PoE and (8) HD 2.8-13.5mm 4MP Motorized Bullet security cameras. The NVR comes with a free pre-installed 1TB HDD and can record up to 4K (2560×1440) resolution on all 16 channels. 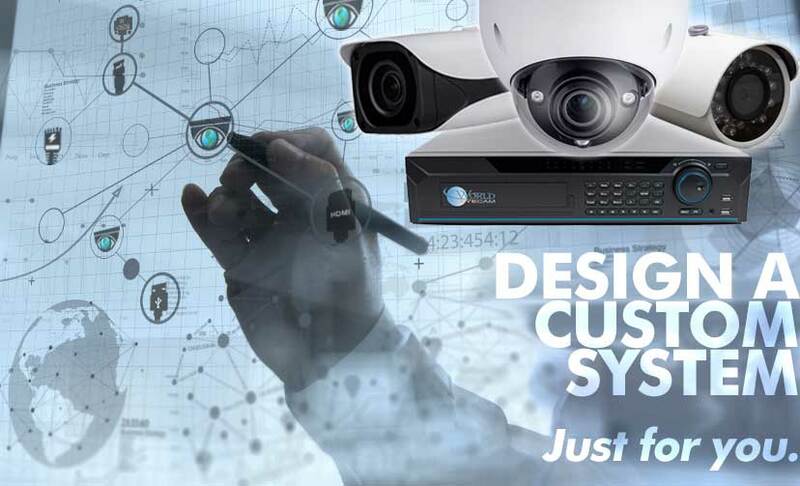 The Motorized Bullet security cameras capture 4mp resolution footage and transmit that footage to the NVR via the included RJ45 cable & Ubiquiti Nanostations. With the Ubiquiti Nanostation LocoM5's you can use these 5GHz 150+Mbps Wireless CPEs to transmit Wireless video and data from IP cameras up to 15km (9.32 miles) away when used in pairs. The kit also comes with FREE Monitoring Software so you can monitor your surveillance footage from anywhere. If you want to make a smart choice on security cameras here is your best choice indeed. This camera is really efficient in providing the much needed safety. With an upgraded lens of 2.8-13.5mm the camera works like an extra eyesight for me who is always keeping a strict vigilance on the surveillance area when I am not around. It is capable of generating automatic alerts via push messages or e-mails whenever anything suspicious is noticed. It is also capable of face detection, missing object detection and features like multiple playback and recordings and central monitoring as well. Safe and secure in affordable range: this is what I feel about this surveillance kit. The beautiful white finish of the camera kit is something that adds an extra decency to its workability. It has got distinctive features which ensures the security functions to work more precisely. The remote monitoring feature is very much helpful as it allows to control the camera from my mobile even from a distant place. This product is really helpful. Wireless4MP IP2.8-13.5mm Motorized Bullet (8) Camera Kit (White); the only thing I was looking for so far. I would be glad to suggest this product to anyone who is in search of a surveillance camera. It can provide you with the best security and satisfaction as of now. The best thing is its H.264+(.mp4) compression, that greatly reduces the size of your digital video files without compromising image quality. The remote monitoring system helps you to log in to your recordings by accessing them on any compatible internet ready device, such as your smartphone or tablet at any time. No need to think twice, just go for it. Dimensions (inches) 6.42" x 1.22" x 3.15"